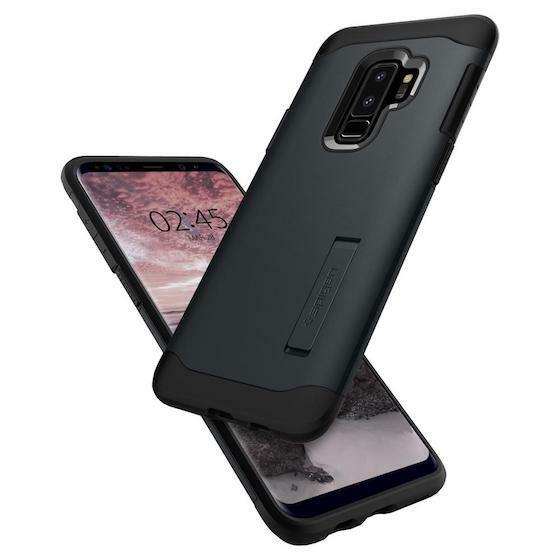 Just a day before Samsung unveils its flagship offering for 2018, the Galaxy S9 and S9+ at its Unpacked event, Spigen, one of the world’s largest case manufacturers, has released a whole lot of cases for the upcoming devices. Spigen is offering more than 30 different cases for the flagships as the company looks to capitalize on the launch event. My favorite of the lot is the Slim Armor case as not only the case brings Spigen’s famous dual-layered design consisting of a shock-absorbent material and a rigid shield to withstand everyday to extreme drops, it’s also one of the best-looking cases from Spigen. The case is for anyone who doesn’t like the bulk that comes with using a case but still want to add a layer of protection to their devices. AirSKin is an extremely slim case with a scratch-resistant surface which can also protect your device against minor falls. 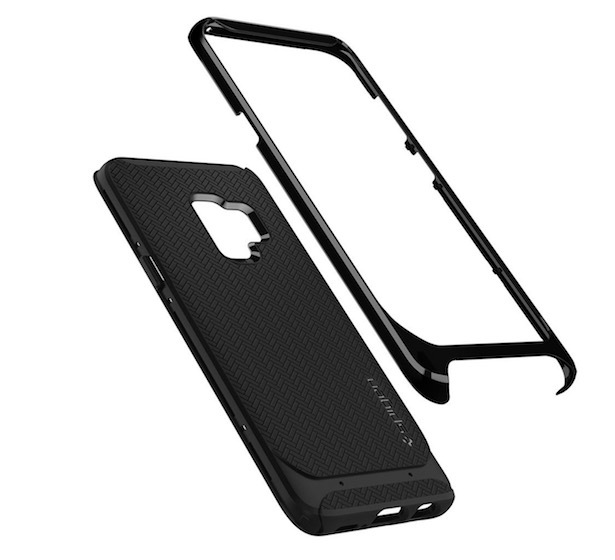 One of the most popular cases from Spigen is its Neo Hybrid series of cases which offer fine-cut bumper with a shock-absorbent cover. The Neo Hybrid case is especially good at withstanding shocks and is one of the best cases Spigen has on offer. 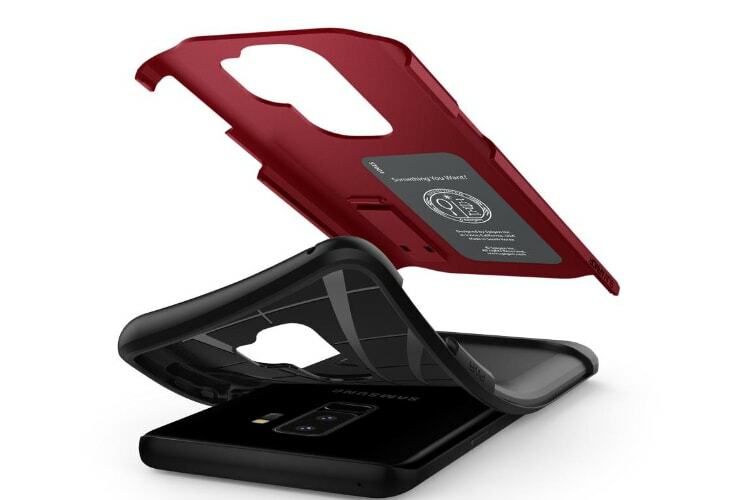 Other good cases include the Wallet S Case, Pro Guard Case, and Neo Hybrid Urban among others. There’s also a single screen protector on offer which according to its description is compatible with all Spigen cases.The screen protector is going to cost you $24.99. 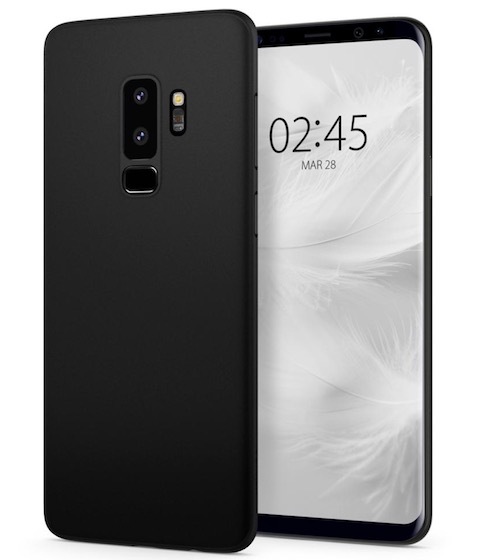 There is no doubt that Spigen makes some of the best cases for any smartphones and it’s good to see the company launching a variety of cases for Galaxy S9 and S9 Plus as the glass sandwich design of the phones makes them quite fragile. So, if you are planning to buy the Galaxy S9 or S9+, do check out Spigen’s store if you want to protect them.